A mild, sweet flavor distinguishes this delicious dinner favorite. Fully sliced and boneless, the Smoked Sweet Ham creates a dazzling and easy-to-serve presentation at the table. 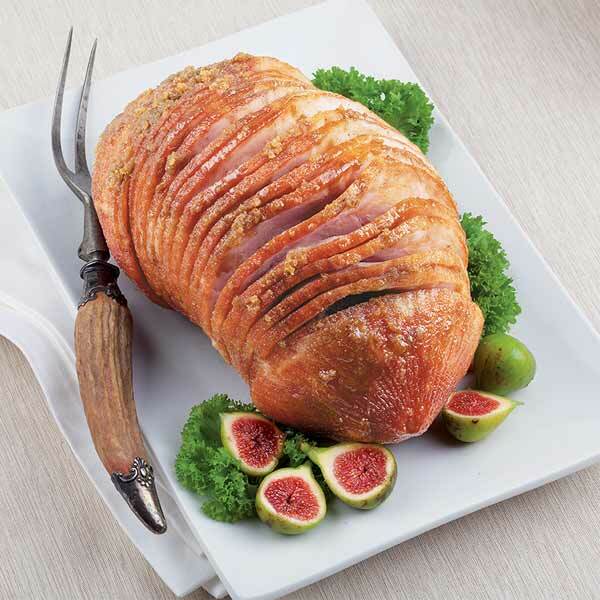 This ham also includes a tasty Honey Glaze Pack where you can add a glaze mix of honey, brown sugar and oil of orange to an already delicious ham. 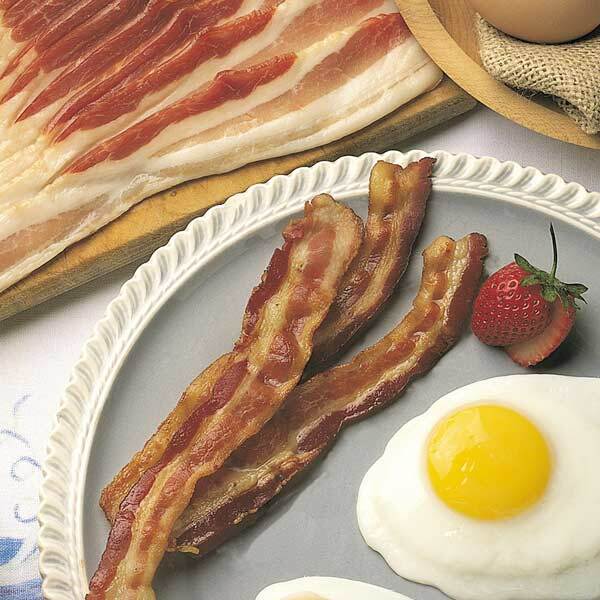 Simply thaw, heat and glaze to a juicy, golden brown and enjoyed as the main attraction. Available in two sizes. This product arrives frozen. 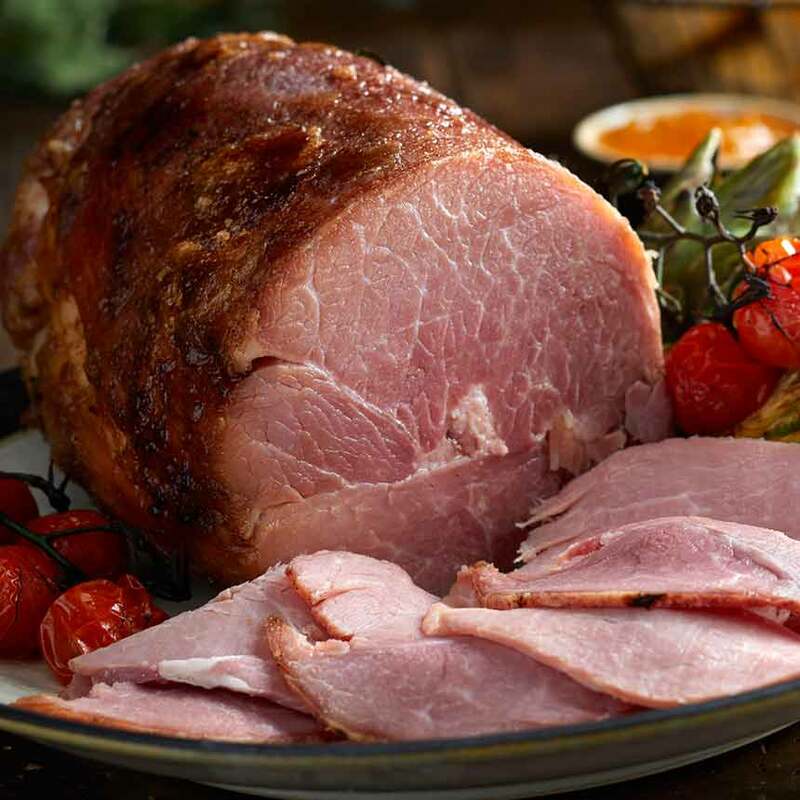 NOTE: Because these hams are produced in a separate facility from ours, which burned in the January 2016 fire, returning customers may experience a slightly different flavor profile than what they're used to. However, we still honor our 100% Satisfaction Guarantee. Thank you for your consideration as the recovery process continues. Ingredients: ham, water, salt sodium lactate, brown sugar, cane sugar, sodium phosphate, sodium diacetate, sodium erythorbate, hydrolyzed corn protein, sodium nitrite, dextrose. Storage: Refrigerate upon arrival. Ships frozen. Allow 2-3 days for the ham to thaw. If not to be used within 28 days, freeze for up to 6 months. Preparation: Take thawed ham out of fridge 45 minutes before heating. Remove packaging from ham and discard plastic film, foil and any bone guard. Pre-heat oven to 350°F. Proceed to heating instructions. To heat: Place ham in roasting pan with the cut surface down. Do not cover. Put ham in oven for 60-70 minutes. Take ham from oven, cover with foil, and let rest 15 minutes. If needed, follow the steps on the included glaze pack to honey glaze the ham.